Odynets T, Briskin Y, Yefremova A, Goncharenko I. The effectiveness of two individualized physical interventions on the upper limb condition after radical mastectomy. Physiotherapy Quarterly. 2019;27(1):12-17. doi:10.5114/pq.2019.83056. Odynets, Tetiana, Yuriy Briskin, Anzhelika Yefremova, and Ievgen Goncharenko. 2019. "The effectiveness of two individualized physical interventions on the upper limb condition after radical mastectomy". 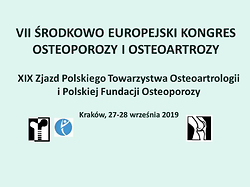 Physiotherapy Quarterly 27 (1): 12-17. doi:10.5114/pq.2019.83056. Odynets, Tetiana et al. "The effectiveness of two individualized physical interventions on the upper limb condition after radical mastectomy." Physiotherapy Quarterly, vol. 27, no. 1, 2019, pp. 12-17. doi:10.5114/pq.2019.83056. The aim of the study was to compare the effectiveness of two individualized physical interventions on the upper limb condition after radical mastectomy. Overall, 68 patients after breast cancer surgery participated in 12-week outpatient rehabilitation. They were randomly enrolled for water individualized physical intervention (water exercise group, n = 34) and Pilates physical intervention (Pilates group, n = 34). Upper limb force (dynamometry), size of upper limb lymphedema (circumference), and active range of motion (goniometry) on the affected side were determined before and after 36 individualized physical rehabilitation sessions. After 12-week physical rehabilitation, the average values of active range of flexion and abduction were statistically significantly higher in the water exercise group compared with the Pilates group by 8.73 degrees (p < 0.01) and 6.87 degrees (p < 0.01), respectively. The size of lymphedema in the area of forearm and hand was significantly lower in the water exercise group compared with the Pilates group by 0.46 cm (p < 0.05) and 0.44 cm (p < 0.05), respectively. There were no statistically significant differences in upper limb force between the studied groups at the end of the 12-week intervention. The results have confirmed that elaborated individualized physical interventions might be considered as effective methods for range of motion improvement and decrease in breast cancer-related lymphedema in patients with post-mastectomy syndrome. The 3-month water exercises were more effective in improving mobility and muscle force of the upper limb and decreasing lymphedema than Pilates exercises.